NYC, 02/14/2019, 6:00PM. 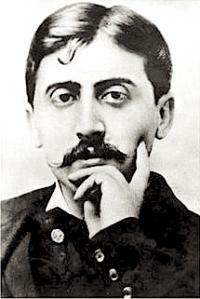 A New Digital Edition of Marcel Proust’s Correspondence. Spend the evening exploring Proust’s letters and learning about the new, open-access digital edition of Proust’s correspondence. Marcel Proust, was a French novelist, critic, and essayist best known for his monumental novel In Search of Lost Time published in seven parts between 1913 and 1927. He is considered by critics and writers to be one of the most influential authors of the 20th century. Françoise Leriche is Professor and member of the Litt&Arts research group at the Université Grenoble Alpes. She is the scientific director of the Corr-Proust project and the editor of the anthology Lettres (2004). A longtime member of the Proust Team at the Institute for Texts and Manuscripts (CNRS, Paris), she co-edited a digital edition of Proust’s Agenda 1906 (2015). Her publications include Genèse et correspondances (co-edited with Alain Pagès, 2012) and numerous works on Proust.